At first glance it looks like there's only the Arroyo Grande Care Center—a service-based therapy facility—on the property at 1212 Farroll Ave. But to the left of that facility, many families park their cars and walk toward the back of the building to a blue and green bungalow that can only be described as the sky and the grass. Sunflowers decorate the ramp that leads inside. It's a children's closet created by the Children's Resource Network of the Central Coast in partnership with Compass Health and senior residents of the Care Center. Families can grab a couple of pieces of clothing and school supplies to get ready for the new academic year. Heather Larsen is looking through the rack of girls' clothes for her young daughter. As she sifts through the pink, purple, and white shirts, she says she doesn't remember who connected her with the program many years ago. At the time, she was not only raising her own two children, but she had taken in five foster children (her nieces and nephews). "The program blessed us to actually clothe them all," Larsen says. "We all have times in our life that we don't have everything that we need, and it's just awesome that our community comes together and takes care of each other." She continues to be a single parent and can afford the major necessities—a place to live and food—but she's appreciative that she can come to the children's closet to pick up clothes for her daughter that she doesn't have extra money for. What makes the program special to Larsen is the fact that she feels welcomed and respected. SUPPLIES FOR ALL To make the Children's Resource Network's donation center more fun and welcoming, Program Director Lori Klemowicz said they arranged it to look more like a store. Lisa Ray greets each parent and child who walks through the door with a smile and a hug. As the founder of the organization, Ray says she knows almost every participant in the program. "It's the culture of our organization to have love and respect for all the moms and families that come here. We make sure that they feel that because we're all moms and we all want our kids to have clothes and school supplies," Ray says. She was inspired to start the Children's Resource Network in 2009, when her local pharmacist was asking for donations for a woman who couldn't afford essential school supplies and clothes for her children. "I didn't have any good hand-me-downs but I thought I could definitely put together the backpacks with school supplies. So my kids and I had fun putting those together for the mother," Ray says. This occurred around the same time that she joined Facebook, and she made a post asking her friends for donations to help out the mother and her children. "There were so many bags full of donations that showed up on my doorstep, and still to this day my house is full of donations," Ray says. IT TAKES A TRIBE Owner Lisa Ray (middle) attributes the success of the Children's Resource Network to her team of volunteers, program directors Nisa Solis (left) and Lori Klemowicz (right), and mothers who spread the word. The organization started out in Ray's home, where donations were sent, sorted through, and distributed to people in need. Since then, she's expanded from her first children's closet in Arroyo Grande to teen closets at high schools around the Central Coast. 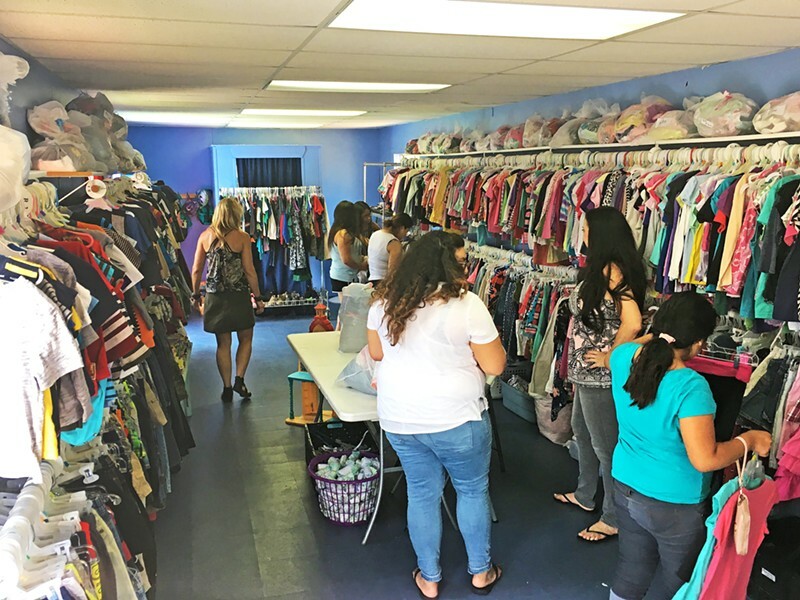 Lori Klemowicz is the program director for the children's closet in Arroyo Grande and the teen closets that are housed in some local high school classrooms. "I get to know a lot of the kids, so I set aside things they like, and they come in and talk to me," Klemowicz says. For easy access to the clothing and school supply resources, she says that the classrooms are right on campus. The rooms are set up to look like thrift stores, which can be a fun way for students to come in and shop around for free clothes. Teen closets are in San Luis Obispo, Arroyo Grande, Nipomo, and Santa Maria high schools; Lompoc Valley Middle School, Santa Maria Pediatric, and Teens Closet. There are also donation bins at the schools and other locations throughout San Luis Obispo County. 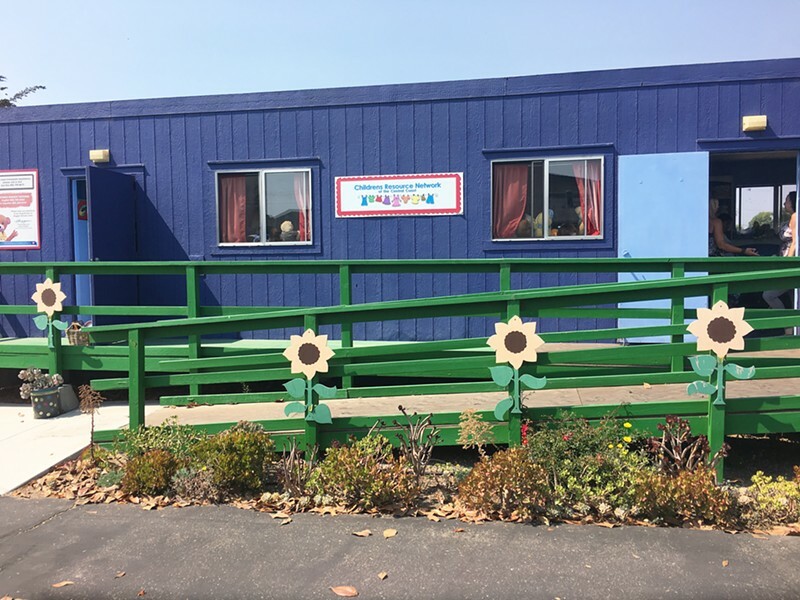 WORD OF MOUTH The first Children's Resource Network of the Central Coast is located behind the Arroyo Grande Care Center but word has spread of its existence and families find it easily. The organization has expanded and grown over the years mainly through word of mouth. It's something that Ray never dreamed would be so successful, but she doesn't like to take sole credit for it. She says she has to thank the people who volunteer their time to the program, her program directors, and the community that has given their donations throughout the year. "When someone asks for help, to me, it's a no brainer," Ray says.